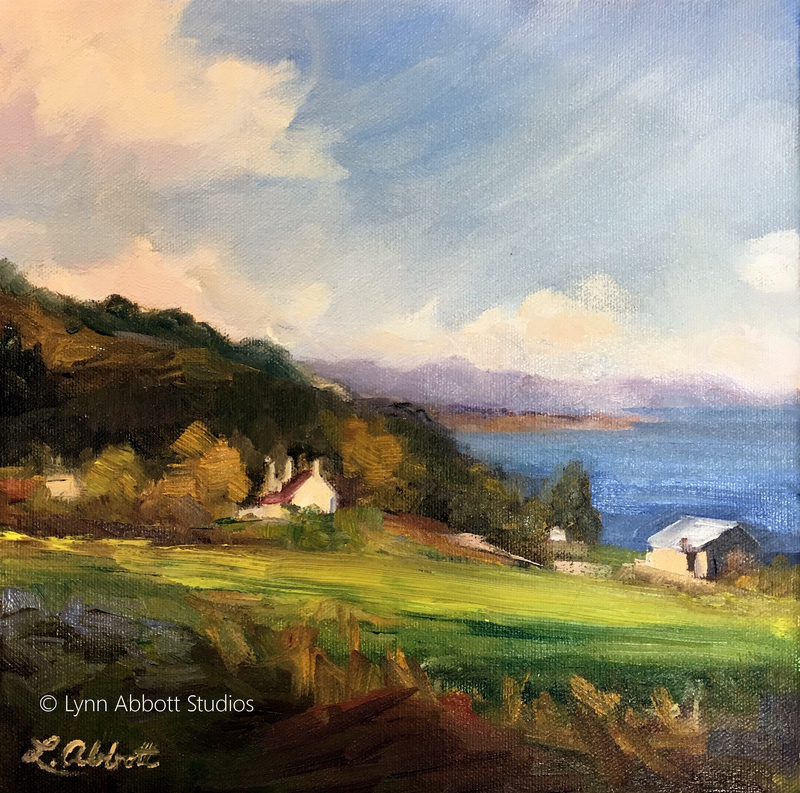 “Sun and Skye,” © 2017 Lynn Abbott Studios. Used with Permission. The Phantom Tollbooth by Norton Juster made the list of childhood favorites in my home. Perhaps, the author’s propensity to pun captivated my son. Or maybe, like so many children’s stories, its magical and imaginative story-line appealed to both of us. Milo’s drive through the magical tollbooth via a toy car, and then, his resulting adventures certainly deserve a place in the Annuls of popular, children’s literature. Undoubtedly, The Phantom Tollbooth follows the allegorical tradition of Bunyan’s Pilgrim’s Progress. Milo’s primary quest certainly suggests such a comparison: before Milo can restore the princesses—Rhyme and Reason—to their rightful places, he must conquer the Mountains of Ignorance and the demons that dwell there. As Milo and his friends climb the mountain pass, they meet a variety of characters in the darkness. The Phantom Tollbooth follows the allegorical tradition of Bunyan’s Pilgrim’s Progress. For me, the most unforgettable of these was a dapper gentleman who stood against a dead tree. Although dressed in fine clothes, the man’s face drew a complete blank. Nothing. No expression. Not even the possibility. Indeed, the gentleman had no eyes, nose or mouth. A complete blank. Even so, he appeared a charming personality, and Milo and friends were relieved to find a friendly voice in such a dark and foreboding place. Thus, when the gentleman very politely asked for help, Milo immediately volunteered. The tasks delegated were odd: a pile of fine sand to be moved with the aid of tweezers; a water well to be emptied with an eye dropper; and a hole in a granite cliff to be dug with a sewing needle. Milo and his friends make their narrow escape. Their encounter, however, leaves the reader with much to ponder. Their experience resonates with me. That’s right. I have also met the Terrible Trivium along the way. Perhaps, you have, too. Trivium offers a comfortable detour, a distraction from God’s best. And like Juster’s fictional demon, our very real enemy is a master of deterrents, the prince of never-ending detours and aimless wandering. I have also met the Terrible Trivium along the way. Definitely reminds me of the book of Exodus. Despite their miraculous release from slavery, the Israelites were frequently side-tracked when the enemy threw diversions in their path. And unfortunately, God’s people listened to the enemy’s soothing deceit; yeah, humanity naturally prefers comfortable escape routes to life’s treacherous mountain passes. Like most of us, the Israelites should have known better. But the enemy often disguises himself as an angel of light…and in the midst of fear and darkness, the charming yet empty voice initially appeared friendly. Through Moses, Yahweh had led His people to the borders of the Promised Land. Indeed, God’s grace included an incredible homeland. But upon the return of the twelve spies sent by Moses to scope out the land, Trivium noted the danger in entering the Promised Land, and offered a safe, familiar but pointless alternative to following God’s daring plan. Humanity naturally prefers comfortable escape routes to life’s treacherous mountain passes. They also spoke of giants, (Numbers 13:32). In fact, they recommended turning back from God’s plan. They advocated the seemingly safe tedium of desert nomadic life. Their concerns probably sounded reasonable; although the Promised Land was all that God had said, the ten believed it to be too risky a venture. Yes, Mañana sounds so reasonable an alternative. And I put off the journey I fear. As a result, I wander aimlessly in the empty desert rather than venture into the unknown, yet Promised Land. I move sand with a pair of tweezers. “Stop awhile; the journey is too long and dark. You are not strong enough. You are not up to the task. Instead, stay and help me with the seeming good,” the smooth-talking stranger coos. Yet, had the Israelites considered God’s past faithfulness, Trivium’s lies would have been obvious. And the same holds true for you and me. As I recently reviewed the Hebrew’s Exodus story, I noted that God had provided again and again for His people throughout their arduous desert travels. And His provision extended further than I ever imagined. Although most of us are very familiar with the history of manna, I have often skimmed over the details, and as a result, I have missed an extraordinary example of God’s vigilant care. Mañana sounds so reasonable an alternative. God had instructed the people to rest on the Sabbath. Yet, the bread from heaven did not keep beyond the day it was gathered. It would seem that work on the Sabbath would be necessary. Had God given them a command that would be difficult if not impossible to obey? Not so. Again, as Peter notes, our God, ‘has granted to us everything pertaining to life and godliness,’ (2 Peter 1:3). God sets our feet on His path and then, He provides for our obedience. That’s right. When God calls you and me to complete a task or to travel over rocky ground, He does not leave us without the power or tools to obey Him (Acts 1:8). Indeed, He reminded His people, “You yourselves have seen what I did to the Egyptians, and how I bore you on eagles’ wings and brought you to myself,” (Exodus 19:4). And Abba has brought you and me out of “Egypt” as well… We do not serve blank Tedium. We are no longer caught in the kingdom of darkness; we now belong to the kingdom of God. Yet, God sets our feet on His path and then, He provides for our obedience. Abba calls us to lives of eternal significance. He has placed our feet on an incredible path. Certainly, we encounter danger along the way. Yet, there is nothing that we face that He cannot handle (Mark 10:27). He has promised both to both guide and provide. He gives great grace. He is faithful despite my fears, (2 Timothy 2:13). The Exodus of Israel proves it beyond doubt. You might say that Israel is God’s Q.E.D. Undoubtedly, we sometimes walk through the wilderness; on the way to the Promised Land, we may even encounter dark mountain passes. During such times, it becomes especially important for me to recall how God has provided for me in the past. After all, He never fails. And we can depend upon that. Without a doubt, Abba will provide all that we need to fulfill His calling.